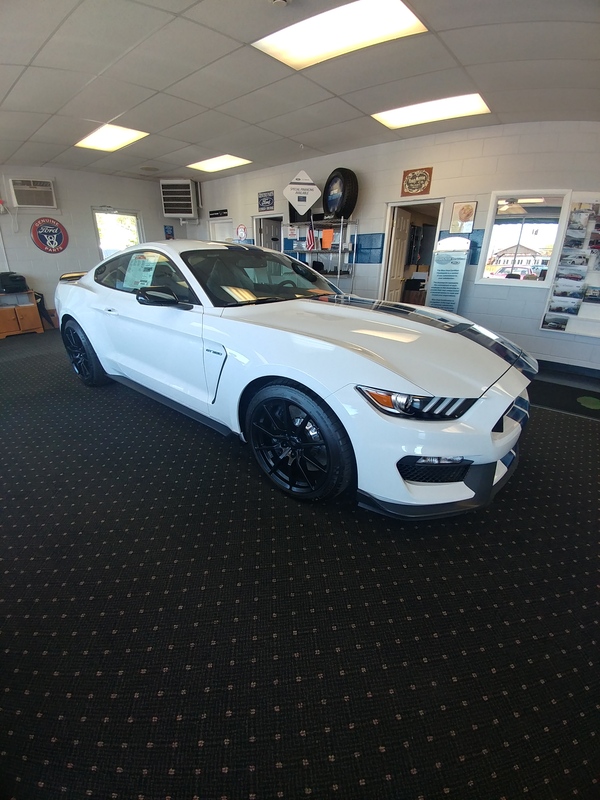 We just got a 2018 GT350 - Oxford White w/Blue stripe...Electronics Pkg. and Car Cover. 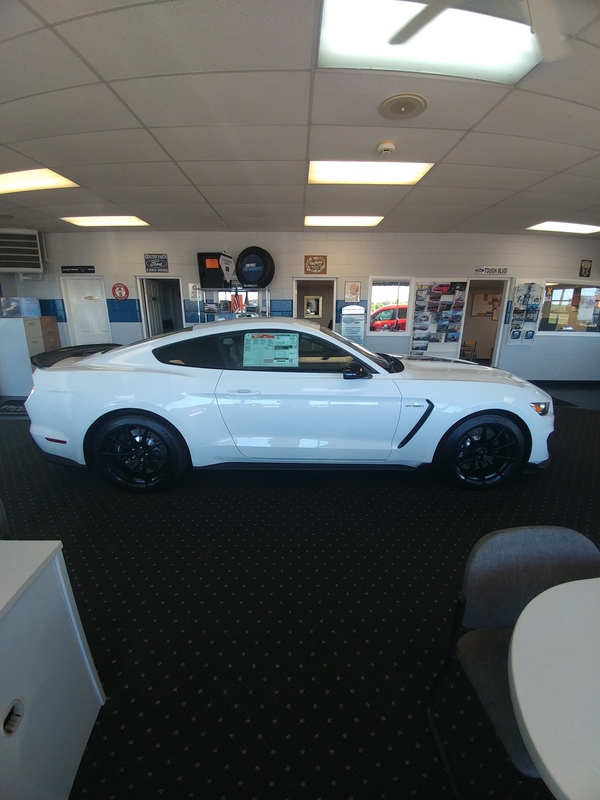 Selling at MSRP...$61,990 + tax. NO ADM.